Nonto Rubushe aka Nonto R was born and bred in Mandeni in the North of Kwa-Zulu Natal. From primary to high school Nonto was a model , post matric Nonto got involved with Love Life and facilitating peer education programs. Nonto has also worked within the corporate space in companies such as FNB, Sanlam, HUB, and Truworths, which gave her a lot of experience and real life challenges and lessons. She has also worked extensively with Radio Stations, the likes of Ukhozi FM, IGagasi FM, Love Life Community Radio and Recently UMgungundlovu Community Radio and has even produced and recorded songs which aired on uKhozi FM. Nonto is also well educated and has studied beauty, Journalism and Youth development. Nonto’s passion for youth activities and community development projects led her to found Chihilane Communications in 2012, a private company that deals with skills development training. 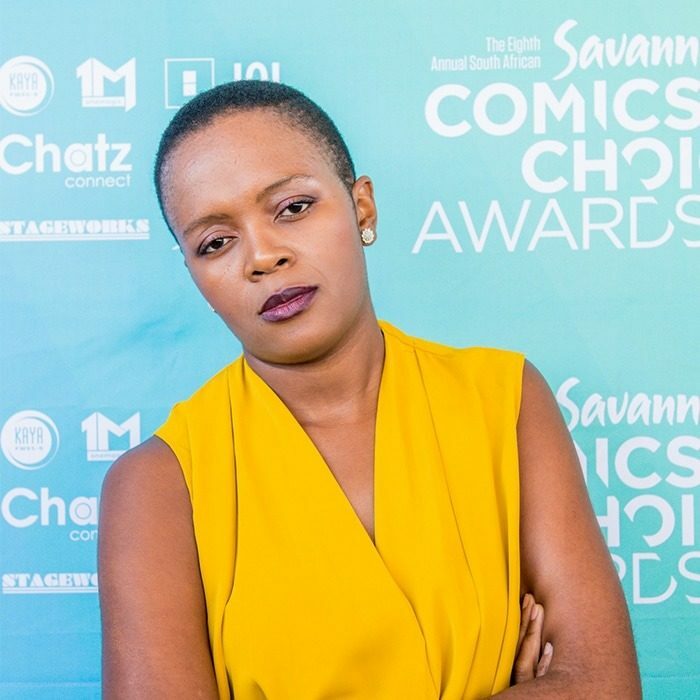 Since Nonto started her comedy career, she has won a SATMA award in the Best Indigenous Comedian Category in 2016 and has been performing her hilarious comedy set in and around KZN, for big comedy names such as 99% Zulu Comedy, Simphiwe Shembe Comedy Connections and currently doing her “One Woman Shows” which are a great success. Nonto enjoys spending time with family, her husband and 3 daughters, which completes the book especially Sundays after Church. During her spare time she relaxes enjoys a good book, playing a game of basketball, writes some music and runs on a regular bases to keep healthy. You can look up some of her work on YouTube as Nonto R.